All recent MacBook Air, MacBook Pro, Mac Mini, and iMac can now add external PCIe card or Express Card with these Thunderbolt adapters. Today, Sonnet announced it’s shipping their new Thunderbolt adapters on June 6th. There’s a portable ExpressCard/34 version, PCIe version, and a Mac Mini PCIe server version. The company noted that the products just “successfully completed Apple/Intel certification testing”. The cards need to be “Thunderbolt compatible”. That means you need to install the card drivers. Here are the list of compatible ExpressCard/34 and compatible PCIe cards. ObamaPacman notes that some other cards not listed might work if it uses same chips as the Sonnet cards; in that case download the Sonnet drivers but it’s not supported by the company. Sonnet Echo Express ExpressCard/34 cards ships now. Supoorts select eSATA, Firewire, Qio, CompactFlash, SDXC readers, SxS, and specialty external cards. Echo ExpressCard [ECHO-E34] $149.95 (currently $126 here ). One 2.5 Gb/s ExpressCard/34 interface. Echo ExpressCard Pro [ECHOPRO-E34] $169.95 . One 5.0 Gb/s ExpressCard/34 2.0 interface. The ExpressCard/34 adapter only has one Thunderbolt port, so to daisy chain Thunderbolt displays you have to use Sonnet PCIe expansions. Or you can put this adapter at the end of the chain. Sonnet Echo Chassis Express PCIe card adapter ships this Friday June 8. 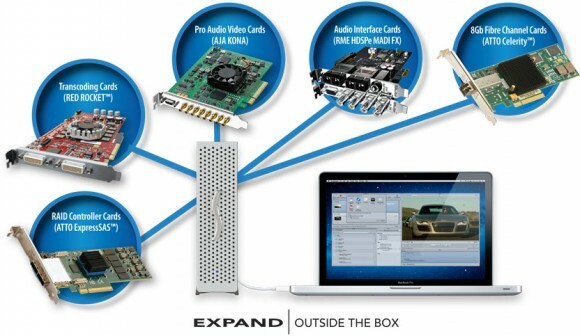 Supports pro audio, Gigabit ethernet, 10 Gigabit ethernet, Fibre Channel, FireWire 800, SAS/SATA, SSD, Video Capture/Processing cards, and RAID cards. Echo Express Thunderbolt Expansion Chassis [ECHO-EXP1H] $599.00. For one x16 (x4 mode) PCIe 2.0 card, there is one additional opening for connector plate or double-width card. 100W power supply. Echo Express Pro Thunderbolt Expansion Chassis [ECHO-EXP2F] $799.00. For two x16 (x4 mode) PCIe 2.0 cards. 150W power supply. Sonnet xMac Mini Server, an 1U PCIe 2.0 Thunderbolt expansion for Mac Mini ships tomorrow June 6. Holds Mac Mini + two PCIe 2.0 expansion slots (one full length, one half length) such as 10 Gigabit Ethernet, SAS, or Fibre Channel adapter. It contains a 100W power supply, cooling, and front panel power button + USB port. xMac mini Server [XMAC-MS] $1,295.00. Includes one Thunderbolt cable. 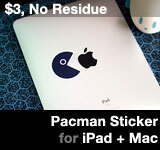 This entry was posted on Tuesday, June 5th, 2012 at 3:17 pm	and is filed under Mac. You can follow any responses to this entry through the RSS 2.0 feed.